These days my online shopping carts more often hold experience over material things -- bus tickets to a nearby city, tickets to see influential speakers. Because of this I frequently receive questions about what I do for a living. Despite what social media might display, I do have a corporate day job. I just choose to explore by night (and weekends, of course). There are few days during the week when I return straight home after work. It's easy to get distracted by daily obligations, but plans as simple as dinner with old friends keep you from being caged. Stay curious and proactive. Seek knowledge and embrace adventure. I travel because it keeps me on my toes. How about you? I love seeing the places that you explore and go to, Christina! It inspires me to do that more during my weekends. I wish I could balance my life as well as you can! That is so great to hear, Diane! You're so sweet! I think that's the number 1 question to bloggers haha! I think way too many people take social media too literally. 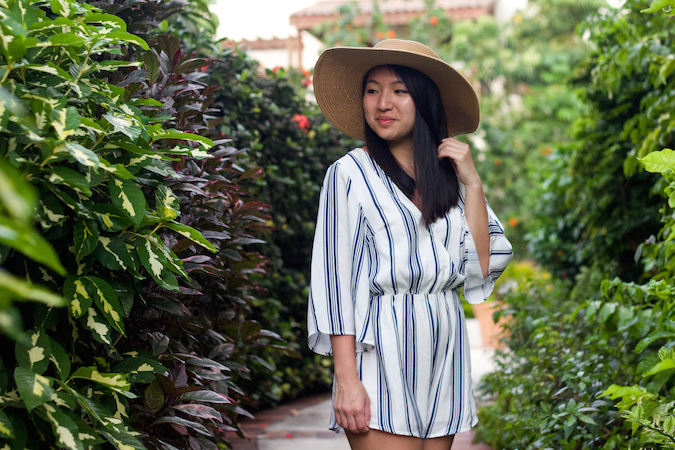 Love this romper, looking for breezy and gorgeous! Haha, I agree! I just like to share highlights on social media -- Who would want to see my office desk anyway?! LOL. Thanks for the comment! you are always on the go! I'm inspired! I love your romper, it's a great summer look. 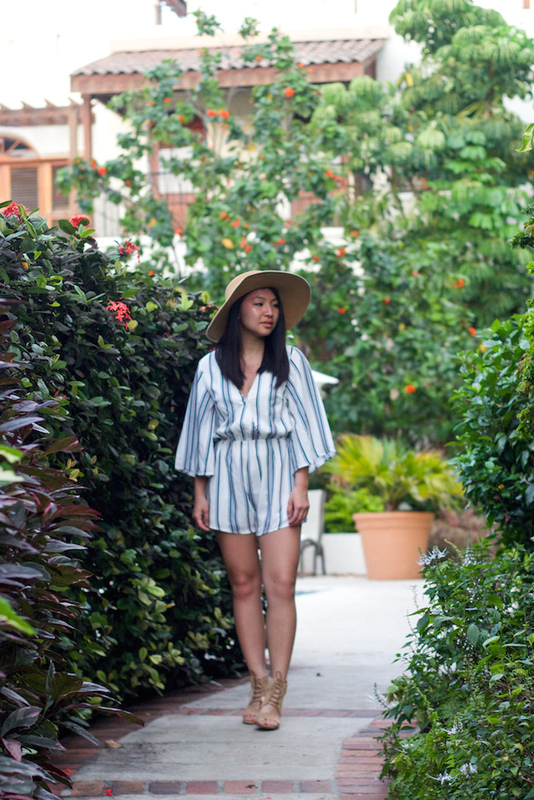 Love your style and the romper looks amazing on you. i totally share the same thoughts as you. i have a full time desk job as well and i get to do my social media things after work or during the weekends.. balance is really the name of the game! love your romper! and love the greenery background! It is absolutely all about balance! Have a great weekend love! I like this nautical print playsuit, so cool and trendy. Looking pretty girl. I hope you get to travel again soon! Yes! I love how you refer to it as the 'age of experience.' I've been noticing the change in myself as well and it makes me super happy. Keep on exploring! The cute romper doesn't hurt either. Even though you're busy, it's always amazing to catch up with friends and we always have time for adventure. Keep going, Lau. Lovely outfit and photos. Such a pretty boho-inspired look! You are absolutely amazing! Beautiful shots! I definitely want to explore more. It's one of my goals for this year. You look so pretty in that playsuit. I love the striped pattern. You are part of the reason why I'm doing more living this year! I love these heels by the way!